Economics is a huge topic, encompassing several sister subjects such as history, microeconomics, macroeconomics, international economics, policy and ecometrics. And with such a mammoth topic, comes immense amounts of books! Organised, calculating economists will likely be adverse to unorganized and cluttered piles of old economics books taking up room in their homes – so if you have any economics books that you no longer need (maybe you’ve read them from cover to cover, or perhaps you are focusing on a different area now and need to make room on your shelves), shift them for cash with WeBuyBooks! 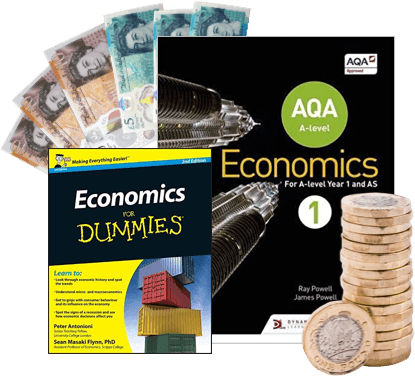 Why sell used economics books with WeBuyBooks? Along with having great attention to detail, economists tend to be curious folk, so you might be questioning why you should sell you used book with us, as apposed to on popular auction websites. Well, we can’t guarantee that you will receive more money in exchange for your unwanted economics books when selling to WeBuyBooks, but we can guarantee that you will have a stress-free, straightforward and swift experience… and that is arguably more valuable in today’s non-stop world. Sell used economics books on the go with our mobile app! It transforms your phone’s camera into a clever scanning device, meaning you can get valuations for your used economic books whenever and wherever. So, even if you’ve got piles and piles of used economics books to sell, it won’t take you long to swap them for cash! Online selling without the stress! 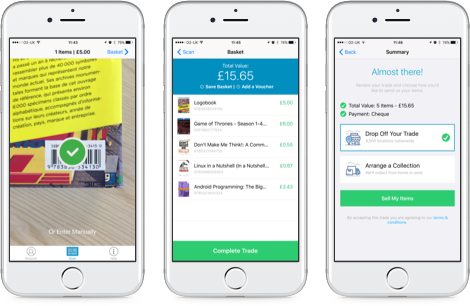 With WeBuyBooks, there’s no guessing when it comes to the final price your used economics books will fetch, as we give you an instant valuation when you enter your book’s ISBN into our online selling basket or scan it using our app. Then there’s no need to calculate postage costs, as we provide you with a prepaid postage label – so you’ll have more time and energy to focus on those big economic projects. And perhaps the most important question… when will I get paid? Well, when selling with us, you won’t have to cross your fingers and hope that a stranger will pay you on time (or at all! ), as we pay you the very next day after we have checked your items. 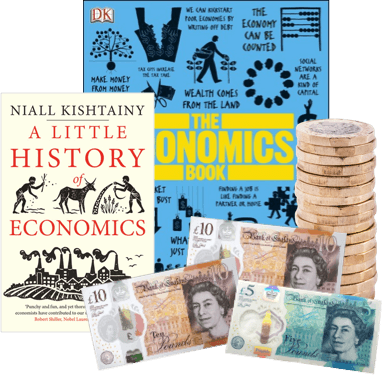 Send your Economic Books, DVDs, games and CDs to us and we’ll send you some money. Less clutter at home and more money – what’s not to love about that? So don’t wait – sell online today with We Buy Books. If you’d like some extra help, then please don’t hesitate to get in touch. Just give us a call on 01706 248281.